The penultimate meeting of the project partners’ „Learning to be good mentor“ was divided in two separate meetings in order to maintain successful and deeper discussion of mentoring programs. Both meetings were held on 5 and 6 February 2015. One meeting that was held in Zagreb, Croatia with the participation of partners from Norway, Slovakia, Switzerland and the Croatia and the other was in Schwerin, Germany with the participation of partners from Italy, Lithuania and Romania. At the meetings were presented partners’ mentoring programs that included carried out activities, the feedback of participants, used tools of monitoring and evaluation. All partners gave feedback on the implemented programs on the basis of obtained information in order to review programs. Also, the criteria was defined for the preparation of Mentoring program guidelines that was created in the next period of the project. The guidelines are a joint document of partners that will serve all interested stakeholders in the future implementation of mentoring programs in partner countries. As part of the Zagreb meeting, partners had the opportunity to visit the Elementary school Matko Laginja whose children participated in Forum’s mentoring program. School pedagogue, Mrs. Jelena Bičanić intorduced the partners to the structure and operation of the school. Also, during the meeting the partners had the opportunity to meet and talk with mentors who participated in the program as well as with external expert Gordan Šimunković, which was also a trainer and supervisor of the mentoring program. The final meeting of partners was held in May 2015 in Romania. 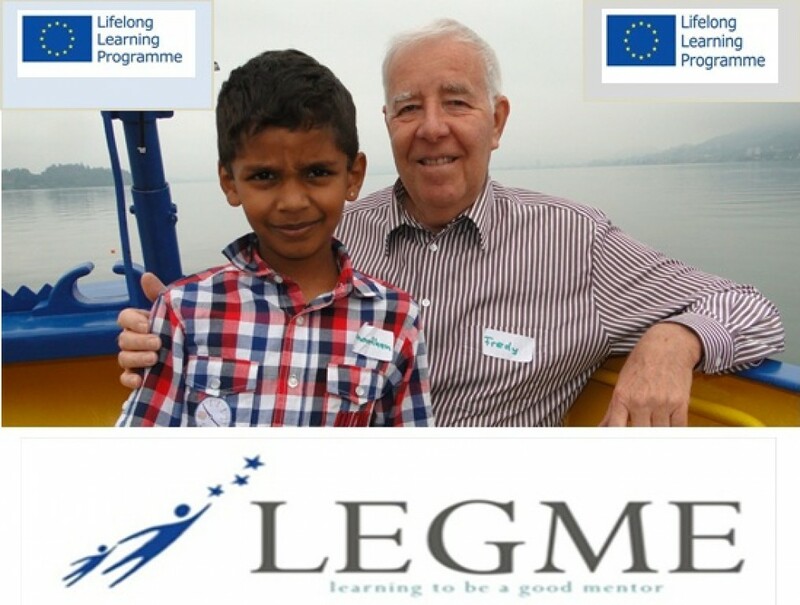 The project was implemented within the Lifelong Learning Programme, the Grundtvig program. The LeGMe partner organizations from Germany (DKSB), Italy (CESIE), Lithuania (MDC) and Romania (CILSDGC) met in Schwerin (Germany) on February 5-6, 2015. This fourth partner meeting provided the opportunity to discuss the ongoing mentoring activities, and to meet the key-players: mentors, mentors’ coaches and mentoring programme coordinators from the four countries. After a welcome and presentation of the agenda by Carsten Spies (the coordinator of the hosting organization), each partner had the opportunity to share their learning from the implementation of their respective mentor training/coaching programme: positive aspects, challenges, experiences related to the use of the monitoring & evaluation tools used, etc. Each presentation was followed by a question and answer session, and the presenters also received constructive feedback. After the coffee break (a very important informal moment for the participants to get to know each other better), we were divided in national groups and then in two groups (Romanian with Lithuanians, Italians with Germans) to discuss improvements we may want to make to our respective mentor training/ coaching programmes, and effective practices we may want to share from our mentor training. The outcomes of this session fed into the working meeting of the project coordinators and mentors’ coaches in the afternoon; here we agreed on the structure of the Guidebook for mentors and mentoring programme coordinators presented by Ariana Vacaretu, the general project coordinator from CILSDGC. Meanwhile, in three other training rooms, the mentors met in mixed country groups to share their mentoring experiences. The second day was mostly dedicated to visits. First, we visited the State Parliament Mecklenburg-Vorpommern in Schwerin Castle, where we met with a deputy of the Parliament to talk about volunteering at local level and to present the LeGMe project. Next, we crossed Lake Schwerin to get to an island where we met the people in charge of the “Jugendfirma INSEL DER CHANCEN”, a youth company working with people with limited opportunities. Once back on mainland, we gathered at the DKSB office to conclude the meeting with planning next steps and evaluation of the experience. Many thanks to Carsten and team for this enriching experience. See you all in Cluj-Napoca, Romania. The mentors’ coaching programmes started in the summer of 2014. We elaborated the M&E system of the mentors’ coaching programme for documenting its implementation. At the end of January 2015, it was the time to look to the findings from the first implementation of the mentors’ coaching programme. Third partners meeting in Vilnius, Lithuania. 10th and 11th of September 2014. Third partners meeting within the project Learning to be a Good Mentor, has been divided into two separate meetings. This was done in order to make more successful in depth discussion about the mentoring process. One meeting took place in Grimstad, Norway from 3th to 6th of September 2014 and participants were partner organizations from Romania, Slovakia and Norway. Second meeting took place in Vilnius, Lithuania from 10th to 11th of September 2014. Participants were partner organizations from Italy, Germany, Croatia and Lithuania. During the meeting each partner presented activities that have been done in the last six month period of the project. Activities include: mentor and mentée recruitment models, process of mentors and mentées selection and selection criteria, ways of “paring” mentors and mentées as well as developing monitoring and evaluation tools for evaluating implementation and results of each partner’s mentoring programme. Also, partners were discussing about the monitoring and evaluation system of the mentoring programme – common document which was prepared by Croatian partner. During discussions, partners agreed how to improve joint document, and what changes are still needed to be made throughout the document in order to be able to complete it. The next partners meeting will be again divided into two separate meetings that will take place in Germany and Croatia in the Fabruary 2015.